Despite numerous scientific advances like the mapping of the human genome and the introduction of technology solutions (i.e., electronic data capture) in clinical trials, drug development remains too expensive with long cycle times. Advances in digital technologies, patient engagement and evolving healthcare systems present unique opportunities to redesign an outdated clinical trial model into a new paradigm that is more efficient, agile and patient centric. This one-day program scheduled for September 9, the day before DPharm will teach you how to apply Design Thinking techniques to create novel patient-centered clinical trials that are faster, more efficient and meaningful to the patients, payors and regulators. Patient centricity is necessary for inspiration and a license to operate in a future powered by patients. Although the industry understands that patient centricity is mission critical, it has struggled to understand what we should specifically do to become more patient-centric. 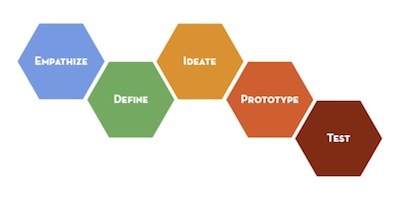 Design Thinking is a human centered approach to complex problems that require innovation. This technique for innovation helps uncover the sweet spot of opportunity where the needs of people, the possibilities of technology and the requirements for business success all converge. Design Thinking also emphasizes the benefits of rapid and iterative prototyping to test ideas and evolve them into meaningful solutions. Applying Design Thinking to clinical trials is a new approach to creating transformative patient centric trials to accelerate drug development. In this one day program you will be introduced to the basic principles of Stanford’s Design Thinking model*. You will practice by engaging with patients, physicians, and technology innovators to effectively apply Design Thinking to redesign a mock clinical trial. You will be inspired by novel companies that are transforming drug development by offering services in web listening, crowdsourcing, telemedicine and other digital tools. In addition you will hear from a study team that has applied Design Thinking to evolve their clinical trial. You will return to your teams with foundational working knowledge on how to apply Design Thinking for Clinical Trial Innovation that uncovers the sweet spot of innovation where patient centricity, new technologies and business need converge. Our program leaders, Kate Helber, President, Infidea Agency and Komathi Stem, Genentech Strategic Innovation Leader will lead the audience through a journey applying Design Thinking to a mock clinical trial. Patients, caregivers, physicians, mobile nurses, study coordinators and trial team members will actively participate in the conference providing valuable insights, inspiration for ideas and feedback on prototypes that you create in the conference. Novel companies with technologies, services and solutions will be featured throughout the event. The program is designed for R&D management, clinical design and execution teams and patient recruitment/engagement staff who want to transform drug development to be more efficient, agile and patient centric. Seating is limited for this program so register early. Thanks and we look forward to seeing you!